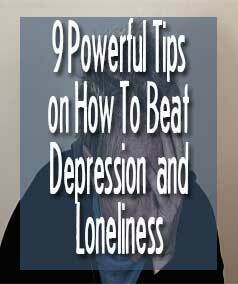 10 Powerful Tips on How To Beat Depression and Loneliness - Better Believe It! Depression and loneliness often go hand in hand. Each one contributes to the other or can at least make it worse. Now that winter is almost here, the tendency to become overwhelmed by one or both of these conditions increases. Shorter days, gloomy weather, and the stresses of the holiday seasons can all contribute to or exacerbate the conditions. 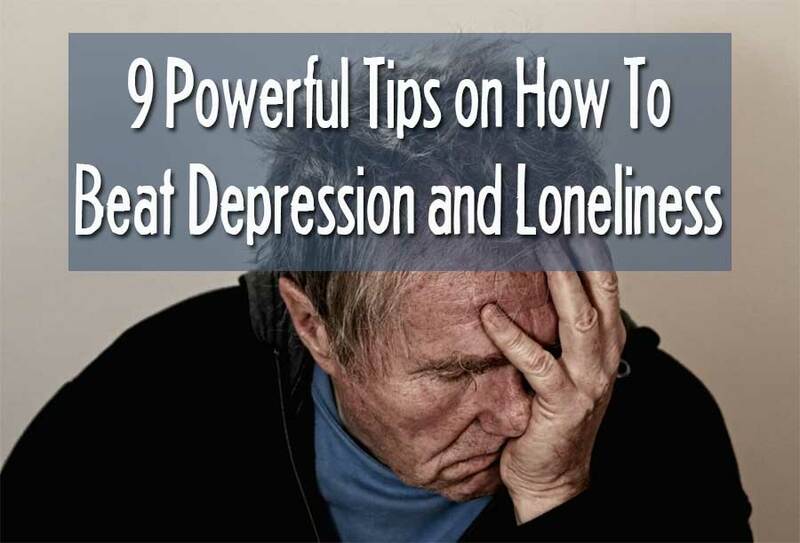 I suffered from severe depression for many years and was hospitalized for it numerous times, so my 10 powerful tips on how to beat depression and loneliness come from a lot of personal experience. I know how devastating and debilitating it is when you’re trapped in these cycles. But the good news is that you can overcome them if you want to, and you don’t need drugs to do so. There’s nothing inherently wrong with anti-depressants per se, but there are many of us who don’t want to take them. I’m here to let you know you can overcome depression without the drugs, but it does take consistent effort, day in and day out until the day comes when it comes effortlessly and you feel so much better. Their shoulders are slumped forward. They talk softly and in a monotone type of pitch. They don’t move a lot and are not very animated. They look down a lot. They tend to shuffle when they walk. Now think of a passionate speaker standing in front of a roomful of people. He’s excited about the topic he’s talking about. How does he act? Well, pretty much the opposite of how a depressed person acts. Science has studied physiology’s effect on moods, and the science says there is a correlation. A study done in California studied depressed women who were told to smile several times a day. Results showed that just the act of forcing themselves to smile increased their mood. Sit or stand up straight with your shoulders back. Force yourself to move around, and don’t shuffle your feet. When you talk, use hand gestures as if you were excited about explaining something to someone. Smile often throughout the day. Try to look upwards most of the time. Make yourself talk with a varied pitch – speed up the pace of your speech and go up and down in pitch. It may sound silly and feel even sillier, but trust me. It has an effect. It will boost your mood if you make a consistent effort to do it. In order to be depressed, you have to think depressing thoughts. It’s not easy to change your dominant thinking, but again, it’s entirely do-able if you consistently try. When you’re feeling bad and you’re laying in bed with no motivation to move or you just feel like crying, ask yourself what you’re thinking. You can even write it down. Are you consistently thinking about the past or the future instead of the present moment? Bring yourself to the now. Notice the things going on around you right now and be grateful. Are you pretty healthy? Able to walk? Do you have enough food and shelter? What sounds do you hear right now? What do you see around you? Are there any special people in your life right now? Are you making assumptions? Assumptions get people into all kinds of messes. “He did that because he doesn’t care about me”. You don’t know why people do what they do – you’re not inside their head, filtering all their sensory input through their past experiences, beliefs, and perceptions. Don’t assume you know what they’re thinking. You really don’t. Are you making judgments? Just accept what is without attaching a story to it. Don’t embark on the dangerous road of assigning “should’s” and “shouldn’t’s” to the events and people in your life. Remember, you are standing in one tiny spot in space and time. If you had a different perspective (e.g., from a different standpoint or looking back in time on it from 10, 50, or 100 years in the future), you would probably see it very differently than what you do right here right now. Don’t judge. Just observe. 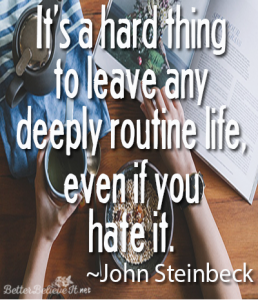 A stale routine with no adventure is a breeding ground for depression and loneliness. Make a vow to do something different, to push yourself past your comfort zone, to have a little “adventure”. You don’t have to take a trip or a mini-vacation. If you go to a store, force yourself to talk with someone you see. If you always stay in the house, force yourself to go out, even if it’s just to a nearby store or park. If you always drive the same way to work, take a different route and really take notice of what you see on the way. Make yourself join an online forum in a topic you’re interested in and reach out to at least one person there. If you don’t read books, go to the library and get one or get one online. Just do something out of the ordinary. Make little adventures to step outside your comfort zone or stale routine. Everyone says it – “Exercise”! And if you’re like me, your only thought is “Yuck!”. I hate to exercise. But it does release those feel-good endorphins and neurotransmitters, and I’ve found that, even though I hate exercise when I’m doing it, I always feel better afterwards. So I make myself get moving. You should, too. It doesn’t have to be a strenuous workout for 30-60 minutes. Just go walk briskly for 15-20 minutes. Go to your nearest YMCA and get in the pool just to play around. You might even make a friend. Pull up YouTube and dance to a video or follow along on an exercise video. If you don’t want to get sweaty, do some yoga poses. But move. I am shy, and I’m an introvert. I often get stuck in the house much of the time. But it’s still possible to reach out and connect with other humans. If you want to go out, check out what’s going on in your area at meetup.com. Go to a Starbucks or a local shop and make yourself talk to someone there. If you don’t want to go out, find a Facebook group about something you’re interested in and join the discussions. Same thing for online forums. Make a profile at sites like not4dating.com. As the old commercial used to say, “Reach out and touch someone”. When we’re depressed and lonely, we’re often wallowing in the “me, me, me” thoughts. Make yourself go give to another human being. If you have money, great. Buy a bag of groceries and give it to someone you know is struggling nearby. Or leave it on a stranger’s doorstep. Do you ever go to church? Hear about a tough time a co-worker is going through? Buy a card and a flower and give it to them. If you don’t have money, go give of yourself. Donate an hour of your time at the battered women’s shelter, hospital, or food kitchen near you. Visit a nursing home and spend some time visiting with an elderly person. The best one yet (for me) is to donate some time to your local humane society or animal welfare league. Animals have a way of making you feel better, and you’ll probably meet others interested in the same things you are. There’s also Big Brothers/Big Sisters groups where you can help a disadvantaged child. 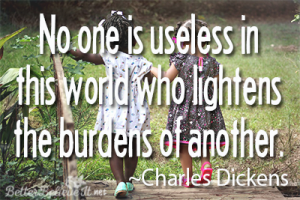 Go browse the stories at sites like gofundme.com and connect with someone whose story touches you. Connect with a service person serving overseas. The options are endless because there’s a whole world full of lonely, needy people. Really – it feels good to give and to think about someone besides yourself. The best part about reading (I think), is that we can learn from others who have “been there and done that” so we don’t need to go through the same struggles or learning experiences ourselves. Instead, we can learn about others’ experiences, how they handled it, and how they overcame it. If someone else did it, there’s no reason you can’t do it. Whatever you’re struggling with, whatever challenges you’re facing, I’m willing to bet there’s someone who’s “been there and done that”. Search for memoirs, biographies, or autobiographies then take the time to read them. Search online at forums, groups, social media sites, etc. as well. Finding out that you’re not alone and that others have answers that you may be seeking, your mood will lift, I guarantee it. And you’d be surprised how “approachable” authors can be. Send them an email or a letter to let them know how their story resonated with you and thank them for their advice. New friendships and pathways can be formed. I don’t know if this is helpful or everyone or just me, but I love to create something from scratch. It makes me feel useful, happy, and sometimes it connects me to other people. Think about something you can create from nothing. 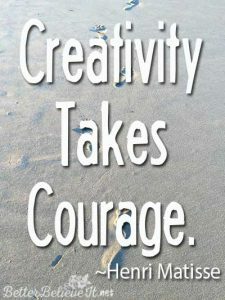 Go to wordpress.com and create a website to share your passions, your struggles, your ideas, or your knowledge. If you know something that you can teach others, go to udemy or teachable.com and create a course. Write an ebook and share it on Kindle. Go get some scrap wood and build something. Browse Pinterest or ehow.com or instructables.com, find something you can make and then make it. Creating feels good. And when you’re in the midst of it, you’re too preoccupied to wallow in all your problems and negative thinking. It affirms, “I am here, and I am contributing something to this world”. To make something unique where there was nothing before is awesome. Why not try it? This is something I did several years ago, and I still utilize it today. Do you ever wish you had experts available to give you advice? Do you ever want to feel connected to an awesome person you’ve read about or heard about? Ever want to feel like you’re not alone? Create Your Own Wisdom Council. Then I chose people I wanted as my mentors or advisors. They could be anyone in history, living or dead, and someone I knew personally or had no chance of knowing personally. I wrote down who they were, what they stood for, and their core beliefs and philosophies. Then I chose the ones I wanted on my “team”. Then I learned everything I could about them. I read autobiographies, biographies, encyclopedias, I talked to relatives (for family members who were now deceased), and just basically anything I could find about them. Then I wrote down who my wisdom council members were for each area. Once a month, I “meet” with them. I find a quiet place, write down things I’m struggling with, then I “ask” each of them for their advice. The funny thing about your brain is that, if you ask it a question, it will always come up with an answer for you, even if the answer is outlandish or complete fantasy. So it’s important to ask good questions. I have learned a lot about my council members, so I can easily imagine what they’d say to me. Of course, if you have living members, and ones you can actually communicate with, it’s even better. But if they’re deceased or if they’re famous celebrities who don’t respond to emails or letters, you can still “consult” with them. Try it. You get answers that you can’t seem to come up with yourself, and you feel connected to the other humans who have gone through what you’re going through. Sometimes, you get depressed because of those around you. It’s amazing how much better I felt when I got away from the assholes in my life who worked 24/7 to criticize me and bring me down. If the people around you create drama and stress for you most of the time, consider creating a new social circle. It’s difficult to shut people out of your life. You worry about what they’ll think. You fear that you’ll be all alone. You’ll miss the good parts, like the times they make you laugh. It’s worth it in the end, though. If the fear of disappointing others stops you from doing what you need to do for your own wellbeing and happiness, check out this actionable advice. These 10 tips can help you get out of the cycle of feeling depressed and lonely. But you have to put in the effort every day to incorporate them into your life regularly. You might read through them and think, “That’s nice”, but you won’t know what they can do for you until you commit to using them daily for at least 30 days. They really do work, but you have to be consistent and try something new – even if it feels silly or foolish. If you have tips of your own, please share in the comments below.